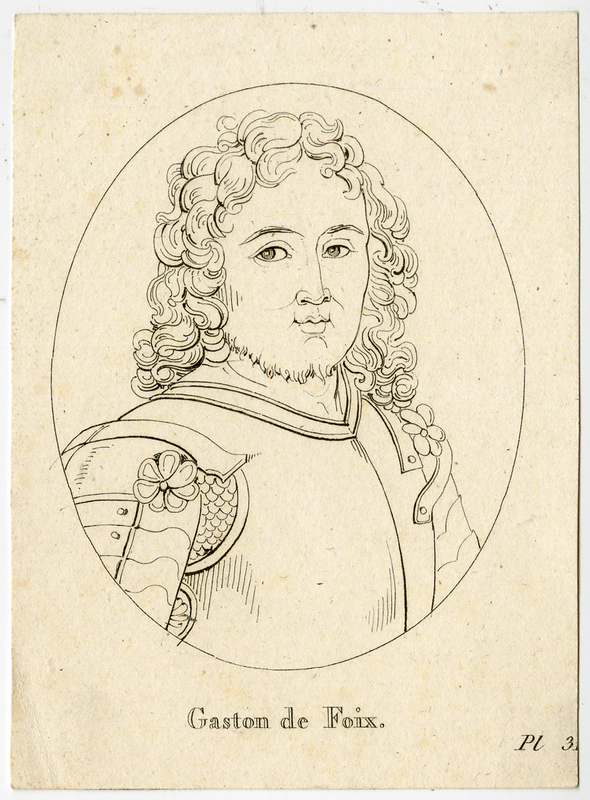 Subject: Antique print, titled: 'Gaston de Foix.' - Portrait of the military commander Gaston de Foix. Condition: Good, given age. No margins. Small creases in the lower margin. General age-related toning and/or occasional minor defects from handling. Please study scan carefully. Medium: Engraving on laid paper. Size (in cm): The overall size is ca. 7.8 x 10.7 cm. The image size is ca. 7.8 x 10.7 cm. Size (in inch): The overall size is ca. 3.1 x 4.2 inch. The image size is ca. 3.1 x 4.2 inch. Description: Source unknown, to be determined.